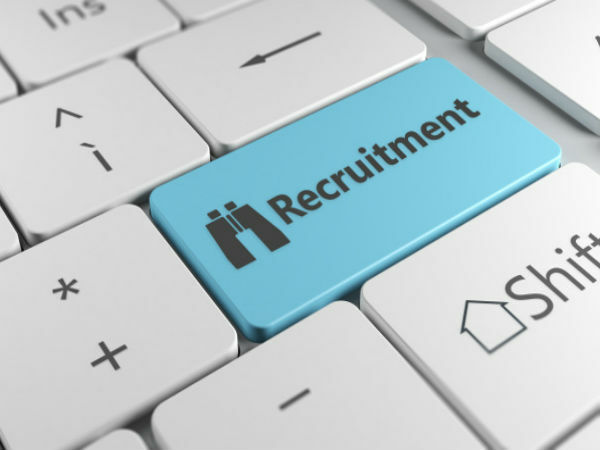 Andhra Pradesh State Level Police Recruitment Board (SLPRB) has invited applications from eligible candidates for recruiting 86 Driver Operators in the Andhra State Disaster Response and Fire Services to be placed across various regions in the State of Andhra Pradesh comprising Anantapuram, Visakhapatnam, Kurnool, Guntur, Chittoor, Srikakulam, East Godavari, West Godavari, Vizianagaram, Krishna, Prakasam, SPSR Nellore and Y.S.R.Kadapa. The application process towards the same will start from 29 January 2019 and will close on or before 07 February 2019 by 5:00 pm. Candidates interested in applying for the post of Driver Operators through AP Police Recruitment 2019 must have attained 18 years of age as on 01 July 2019, and must not have exceeded 30 years, with a relaxation in the upper age limit by 5 years for SC/ST/OBC candidates. Candidates are required to pay a deposit fee of Rs. 25/- towards the application as detailed in the notification at the time of submission of application. SC/ST candidates are exempted from paying any fee. 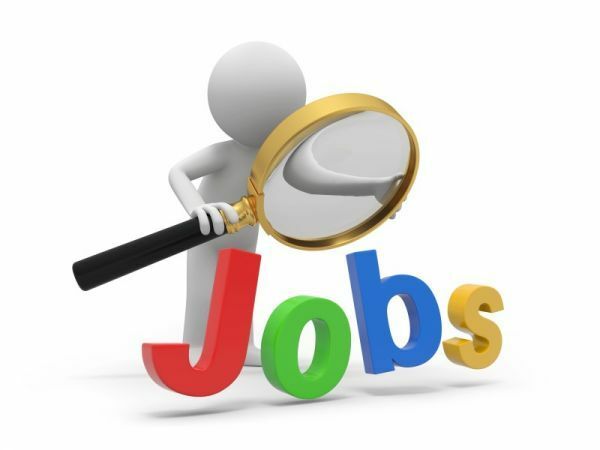 Desirous candidates applying for the post of Driver Operators through AP Police Recruitment 2019 must have qualified Class 10/SSC or equivalent from a Govt.-recognised Board, and must possess a current and clean Heavy Motor Vehicle (HMV) license valid for at least a period of 2 years as on 25 January 2019. The selection of candidates as Driver Operators through AP Police Recruitment 2019 will be done through Physical Measurements Test and Driving Test to be held at various venues on 12 February 2019. For details of venues refer to the official notification in the link below. Candidates selected as Driver Operators will be paid an emolument in the scale of Rs. 21,230/ - Rs. 63,010/- per month. 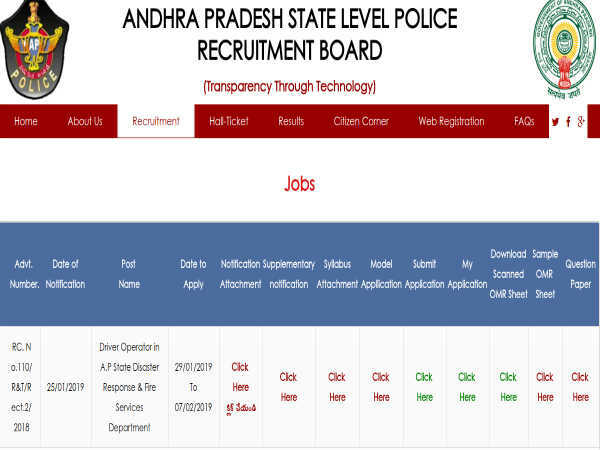 Interested candidates applying for the post of Driver Operators through AP Police Recruitment 2019 must submit applications in a prescribed format through offline mode. Candidates can purchase application FORM from the Office of the Superintendent of Police (SP) of the concerned Region/District against a payment of Rs. 10/- between 10.30 am and 5.00 pm from 29 January 2019 to 06 February 2019. The duly-filled applications along with other supporting documents/certificates must be submitted in person at the Office of the Superintendent of the concerned Region/District from 29 January 2019 to 07 February 2019 between 10.30 am to 5.00 pm.